Starta group mission is to empower startups with European R&D roots to break into the US & global markets. Katya Dorozhkina, a Managing Partner at Starta Ventures and a New York-based VC and Accelerator with a focus on European Tech companies. Starta group mission is to empower startups with European R&D roots to break into the US & global markets by providing them with funding, coaching & mentoring in the United States. 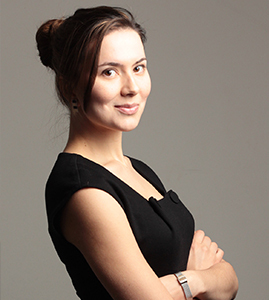 Katya has previously participated as a speaker in SVOD, Blockchain Economic Forum New York, Global Big Data Conference, LendItFintech, Uprise Festival Dublin and many others. She is a published author of books on marketing and entrepreneurship as well as a valuable contributor to Forbes magazine and other business publications. She invested in and mentored over 80 startups and is the main driving force behind Starta Accelerator.